Every new snowstorm fires the imagination. Even though you can’t hit a new place each time, there’s the promise of redrawing a favorite canvas. 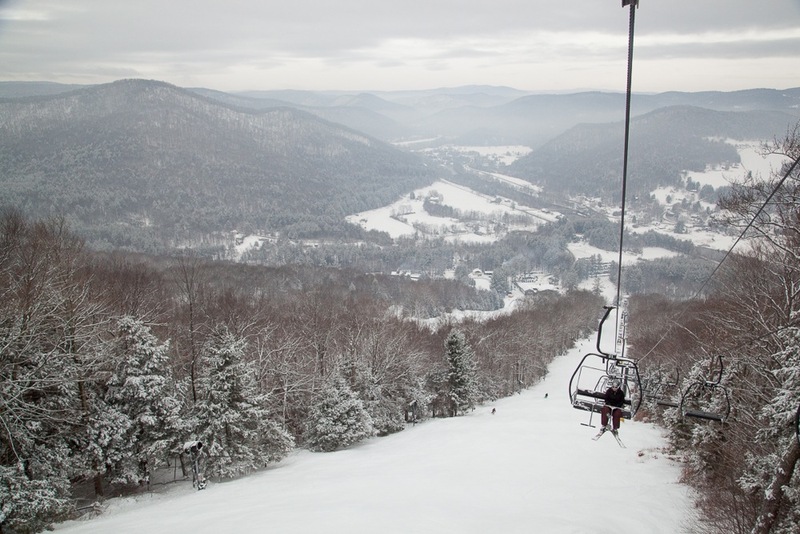 East Coast skiers have an appreciation for new snow unmatched in other parts of the nation where altitude ensures precipitation-type if nothing else. I’ve also been fortunate to take my wandering to a semi-professional level the past few years. Experiencing the new can give you an appreciation for what you’ve already enjoyed, and one place that’s always intrigued me is Berkshire East, The Beast. 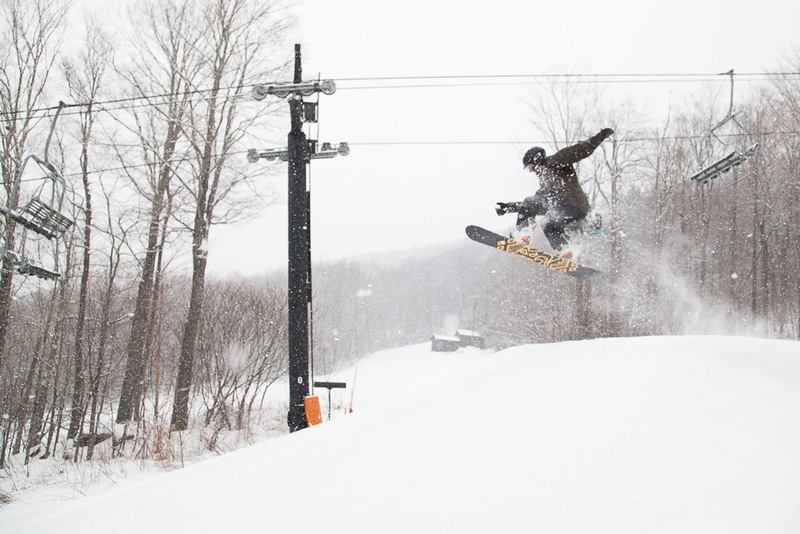 Despite, in my estimation, having a better claim to the moniker than Killington ever would, Berkshire East is to some extent overlooked each winter as drivers point their cars farther north to Vermont, New Hampshire, or Maine. As the coastal played out in the models, it didn’t seem like driving any farther would make sense. And after visiting the region this summer, I looked forward to a nuanced four season perspective of what this pastoral mini-Vermont had to offer. The snow started piling up around 6am, and when we woke up a little after at The Red Rose up the road, we had about a half inch on the car. We checked the website but couldn’t find the info we needed. Not knowing when first chair would be, we pushed to arrive by 8am. In a new twist to obstacles between me and first chair, a freight train rolled by the mountain at about 7:40am, taking 15 minutes to pass. If the visibility had been better we would have known that we were stopped basically under the mountain itself. The Deerfield River runs through the hills there, and there’s a remote feeling in the valley despite being only 25 minutes from I91. The urgency for first chair went down a bit when we arrived. We had 30 minutes to kill, and there were only five cars in the lot. The motel provided us with $10 vouchers which we used easily at the ticket window. We booted up without breakfast to get on the quad. The main lift has a conveyer loader that is quite nicely set up; when the gate opens you slide a tiny incline with almost no shuffle required to board. It was hard to stop to take pictures. 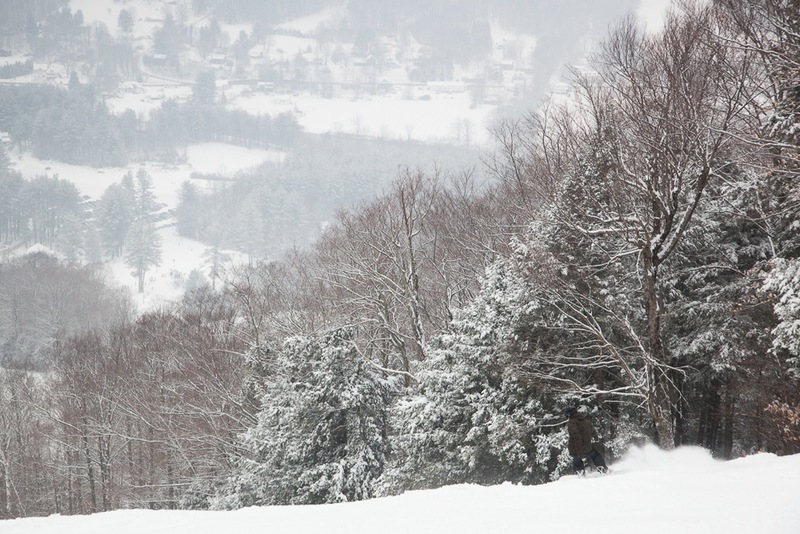 There was no brutal grooming of the pow, and there were almost no skiers. Somebody in the forums once called Berkshire East the “Plattekill of Massachusetts.” During our first unhurried laps I could see where one would draw the comparison. 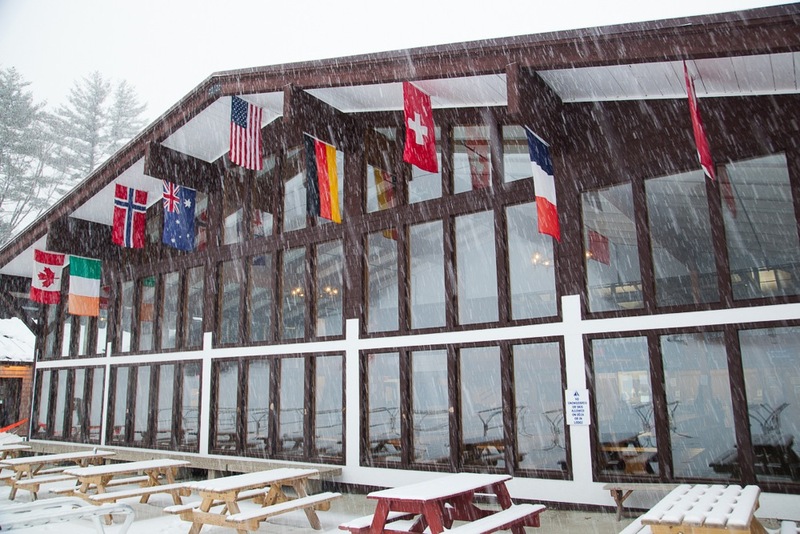 Perhaps the snow delayed the arrival of most, but our plans were well executed. After tracking out the obvious diamonds, we moved over to a wide beginner area and terrain park to farm some more. 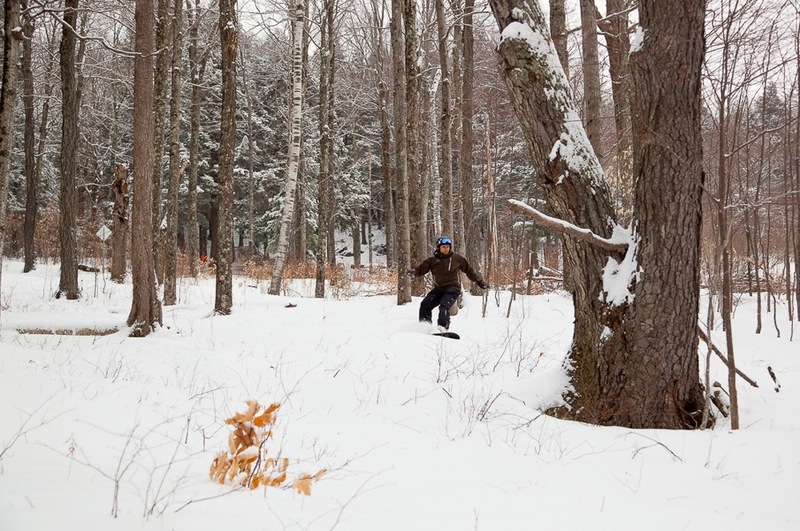 Finally, we tested the forests where I found a supportive base under the new fluff, but it wasn’t fun to ski quite yet. Mostly, I found more of what I like. Nice terrain with some pitch, a fairly priced lift-ticket, and a personality that set the area apart from a generic corporate resort. 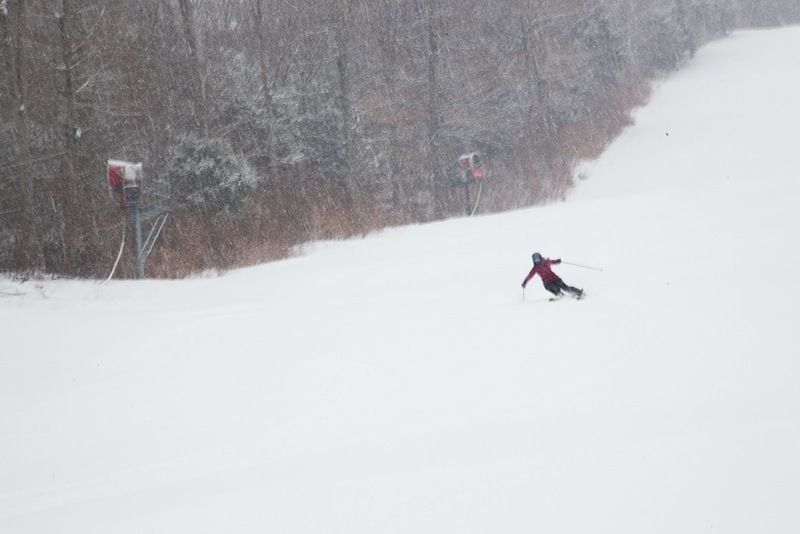 The 4″ of snow also helped and with even a foot of new snow, the Beast will be in prime shape. Thanks for the reminder. I need to visit this hidden gem. Nice pictures.